Overdrafts are nasty things we all know that. If you dip into the red in your current account on occasion without having agreed an overdraft with your bank, it can be a costly business. If it happens often, it can prove extremely pricey. The banks charge what can often seem exorbitant amounts in administration fees to cover the payments – in fact, what they’re charging for is notifying you that you’ve gone overdrawn. Lately, though, there’s been a revolt against that, and often the banks have refunded charges they’ve made customers pay – often a few thousand to each customer. 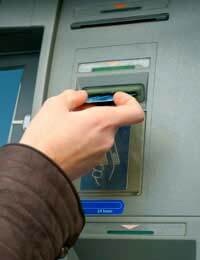 So what exactly are your rights regarding overdraft charges? If you become overdrawn in your account, your bank is legally allowed to charge you the administrative costs of letting you know about the situation. It’s not uncommon for banks to charge up to £30 for the service. Unfortunately, no legal limit has been set on what the banks can charge. But even at £12, if the bank is making a profit on its actions, it’s actually in contravention of the law. It can charge for every overdrawn transaction, Charges also apply if you exceed your authorised overdraft limit, or if your building society or bank won’t honour a payment you’ve made because there are insufficient funds in your account. In some cases where people have a number of direct debits due and there’s not the money in the account, those charges can run into hundreds of pounds over the course of a month. You can claim for what you feel are excess charges by your bank over the last six years. If you’ve kept your bank statements (and you always should), then what you need to do is go through them, highlight all the bank charges for exceeding your overdraft, and total up the amount. However, it’s a simple fact that many people don’t keep their statements. You can obtain them from your bank, although they will charge you for them – which they have every right to do.Once you’ve established the final figure, you should write to you bank or building society, claiming back the excess charges. Plenty of people have done this, and have reclaimed a lot in charges – several companies have been set up to help, and a number of newspaper campaigns have made people aware of the situation. So many people have claimed back charges, in fact, that it’s cost the banks a great deal of money. However, because of a court test case on the legality of these charges that’s due to begin in January 2008, no banks will resolve any new matters before that case has finished; the most they will do is acknowledge receipt of your complaint. This has been done with the agreement of the Financial Services Authority. For the future, a lot will depend on the outcome of this court case.If you’ve made a claim with your bank and they’ve offered to settle, that offer will stand, and you have two months in which to accept or reject it. If you’ve already accepted what’s called a “full and final settlement” offer, you will receive that, and you will have to right to claim for any other charges, depending on the court’s decision.